This specimen was collected in 1967 and is from the world famous locality of Lesmahagow. 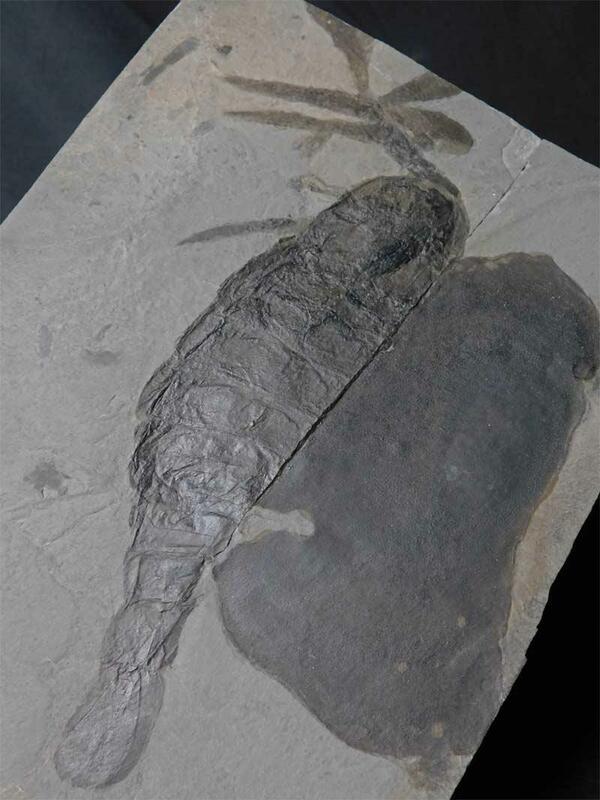 This is more or less complete specimen and includes its pincers and swimming legs which are very rarely preserved!! 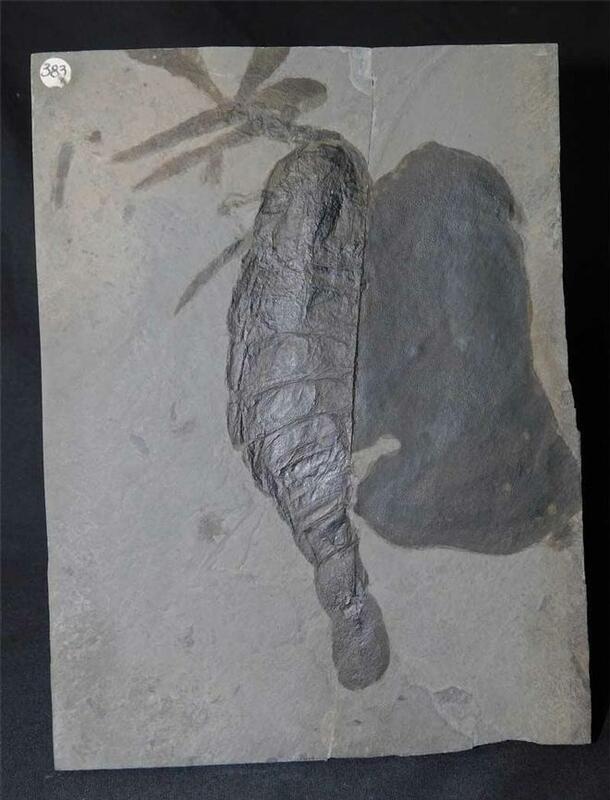 The Errettopteris appears to be resting on top of a huge head of another Eurypterid Slimonia acuminat which has one eye present. 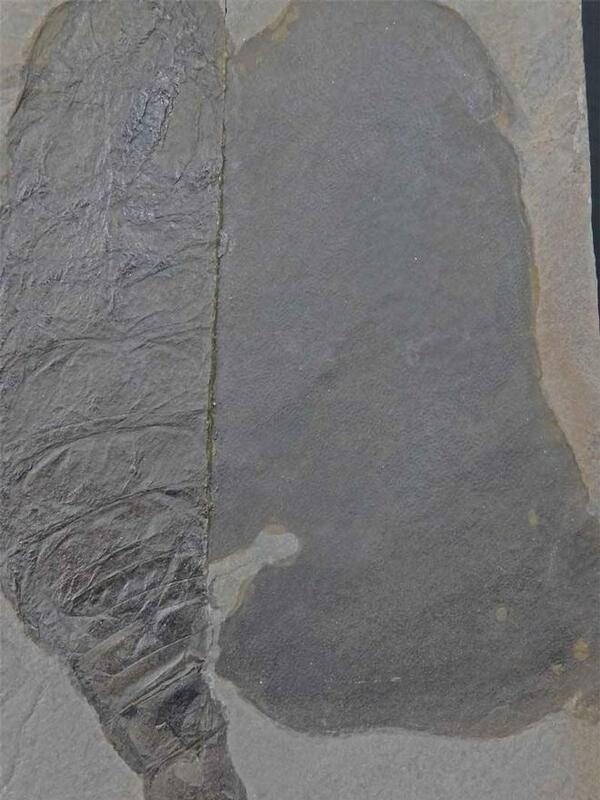 The specimen also has preserved its mouth parts. There is a repair through the middle of the block however this does not, in any way, detract from the beauty and scientific value of this specimen. 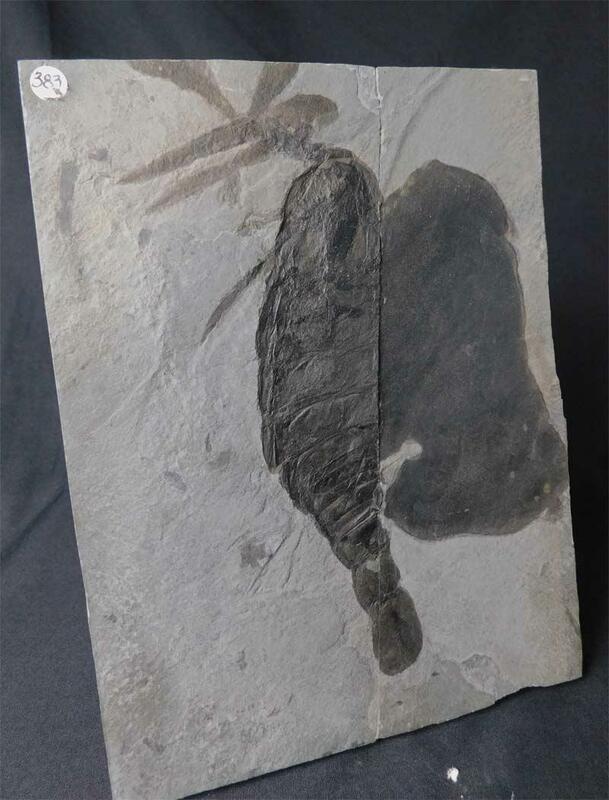 This is by far the finest multi species Eurypterid we have ever had to offer and would be difficult to repeat. Super sized images can be seen in showcase fossils.